I have done some Action Robot Doodles. There is also an Action Robot Desktop, for those of you with 1280×768 desktops. Download it via this link! 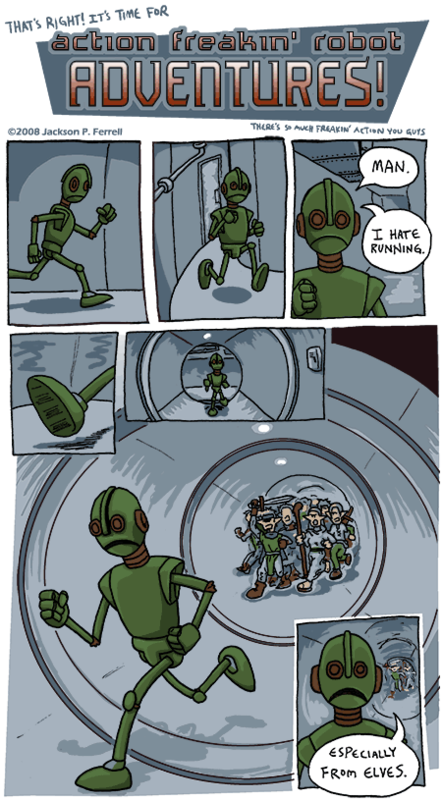 Go Action Robot! Apparently that is his name now. 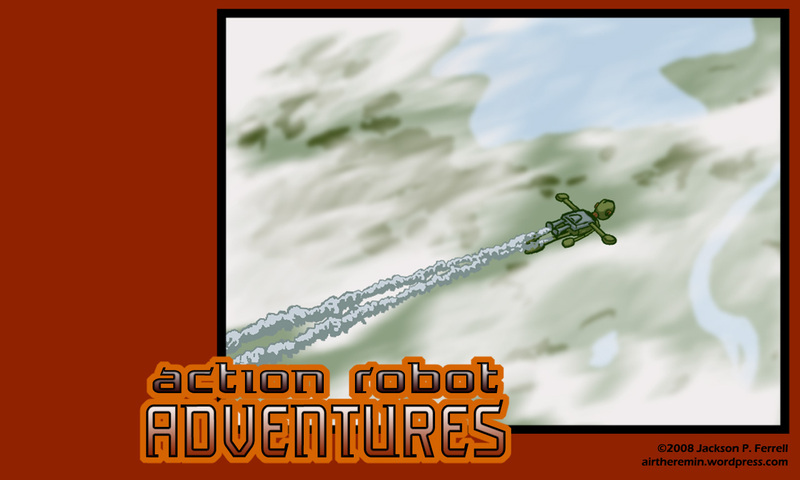 It’s time for another installment of Action Robot Adventures! Yay!